In 2017, NH Solar Shares was awarded a $75,000 CDFA Business Tax Credit Grant which allows businesses to target a portion of their NH BET and payroll taxes to support the Solar Shares’ effort. “We owe a big thanks to all of our business sponsors including Northway Bank, Common Man, Dunkin Donuts, EVP Marketing and Media, M.E. Latulippe Construction Inc., Pemi Tree Works and Revision Energy. 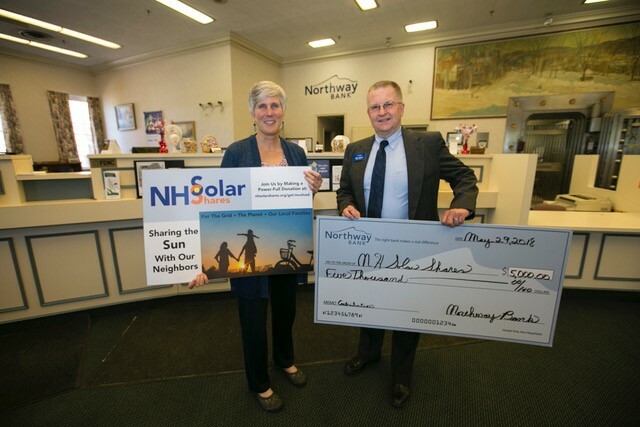 We hope more local businesses will take part in NH Solar Shares, with a donation of any size” said Jones. Businesses interested in pledging their support via the tax credit program should visit www.nhcdfa.org/taxcredits/current-projects or call the number below.